Genue Perspectives: Reflecting on Creativity, Part II - Genue Inc.Genue Inc. Here at Genue, we acknowledge the journey it takes to find your creativity, and the honesty it takes to embrace your genuine self. This three-part Genue Perspectives installment, by our in-house designer and all-things-creative guru Hannah, explores her personal experiences with creative expression and shares tips and ideas for both how to find and express your artistic identity. Last month here on the Genue blog, I discussed my personal journey with creativity–accepting and expressing my creative self. Today, I’m here to discuss something that you have probably experienced at some point in your life: the pros and cons of being a creative person. Everyone is creative in their own special way—whether your medium is paint, fabric, food, or even the written word–you’ve probably expressed yourself artistically at some point in your life, without even knowing it! There are so many positives of being a person that understands how to express themselves creatively. Creating something with your own two hands is something to be proud of! It takes time, effort, and thought to make something by yourself. The labor of dreaming something up and then producing it is something that often goes wildly unnoticed. It can also be cathartic; an emotional journey that represents your thoughts and feelings at the time of creation. 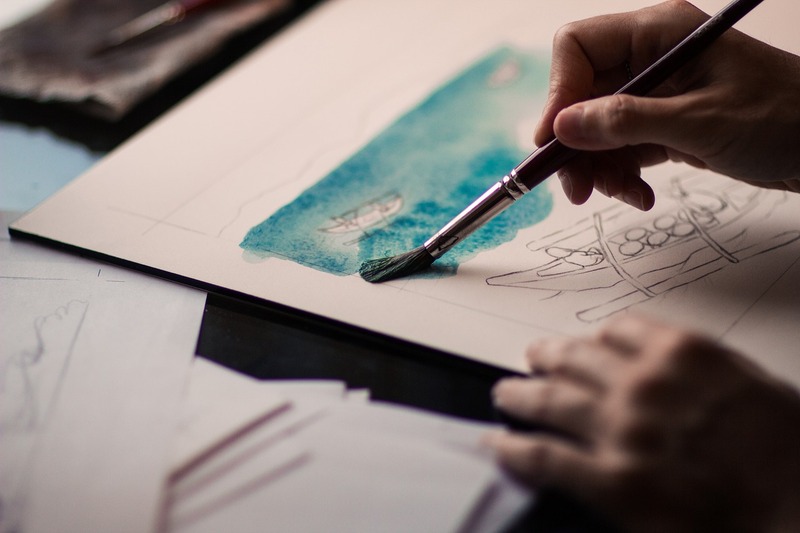 The art of creativity actually positively impacts your emotional and mental well-being! On the contrary, there are also some heavy burdens that come with being as a creative person. Have you ever had a time in your life when you thought you had a great idea, but you tried to explain it to someone who just didn’t get it? Or were asked, “Why would you want to do that?” Maybe someone told you to just buy something already made from a store, or remarked that you were putting in more effort than something was worth. Or Maybe you stood out just a little too much when you were growing up and were made fun of for being different. There are some people that just won’t understand, and it’s inevitable to avoid them. It hurts when your nay-sayer is someone important to you, but it’s important to continue to have faith in yourself. There is a unique freedom that comes with understanding yourself so deeply that you can express it outwardly; it’s a gift that can take people years to discover and hone. Maybe you’ve come to a point in your life where you just don’t have time to sit down and paint, or draw, or write—and that’s okay, too. It takes courage to be able to be genuine to that side of yourself…and even if you can’t always show it to the world, it’s important to take a moment and acknowledge that the power to do so is there. So if you’re reading this and in a position where you feel like you can’t be yourself—have hope and keep fighting! The artistic process is something that anyone can enjoy at any age and at any time. If being creative is something that you feel is part of you, then it will always be there. And if it’s a side of you that you feel like you haven’t explored properly, then stay tuned for our next article in this series, where we’ll be discussing tricks and ideas to help nurture self-expression and escape from creative ruts!